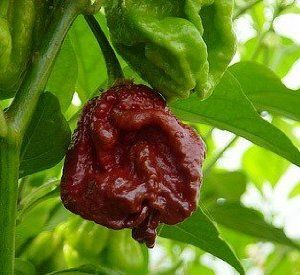 7 Pot Douglah - This pod is so popular amongst chile heads it almost has a cult following. Chocolate in color, the flavor is intensely earthy and completely unique. The heat level is so high on these many people believe it has what it takes to be a record holder.